When you are looking for just the right mantel at your provider of fireplace mantels in Orange County, you might wish to consider choosing from many of the stone fireplace mantel options available today. Traditionally, stone fireplace mantels were a bunch of separate stones held together, resulting in a more rustic look often best suited for a cabin or a den. While you can still find a stone fireplace mantel of this type, there are more options available that are carved out of a single piece of stone for a look with clean, geometric lines as well as those that are more detailed and elegant. There are many natural stone options from which to choose, the most common of these being marble. You may choose a more traditional white or cream marble with gray or green veins, or you may opt for more colorful choices such as yellow or various shades or reds. Cast stone is a great choice if you wish to have more detail in your fireplace mantel design. The casting process allows for intricate design details perfect for those mantels that feature delicate details and those including more extravagant scrollwork and styles. 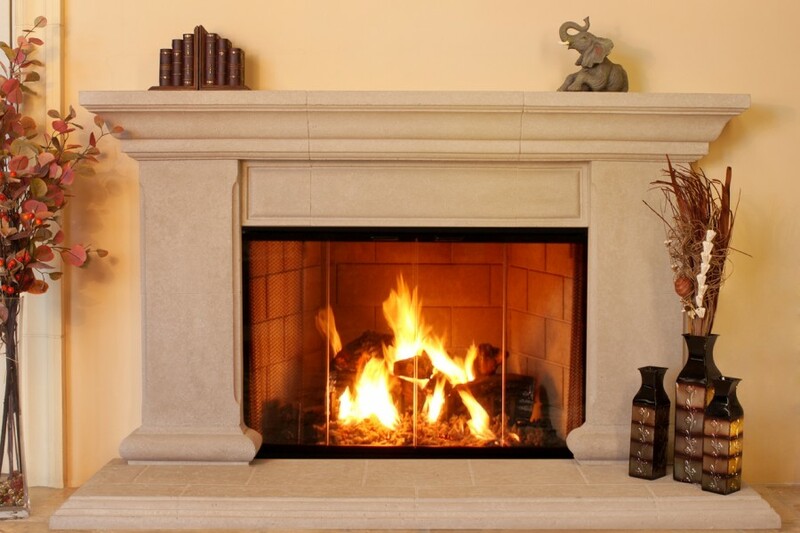 SoCal Fireplace Mantels is a large provider of stone fireplace mantels in Orange County. Stop in the showroom to see the variety of options available to you when choosing from all of the different stone fireplace mantels available, or you can help to create a custom-designed option that suits your style.